Wine Opinions offers numerous quantitative and qualitative research services for wine producers, wine marketers, and trade association clients. Our research draws on our proprietary panels of wine consumers and members of the wine trade, as well as the leading national sources of consumer respondents. 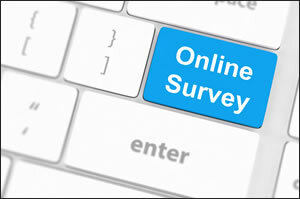 We offer online surveys based on our trade or consumer panels, client databases, and respondents recruited from the leading national survey population providers. All our surveys are “scalable” in length to suit client learning objectives and budgets. Our nationally representative trade panel numbers more than 4,700 members in all tiers of the trade. Our consumer panel is also nationally representative and is comprised of more than 20,000 U.S. wine consumers, 86% of whom are high frequency wine drinkers – the consumer segment that drives the wine market. Consumer respondents can also be sourced from leading commercial panels, tailored to client needs. Full-length and half-length consumer surveys are designed to most efficiently and effectively serve our clients. Reporting is based on consumer or trade segmentations and analysis designed to meet survey learning objectives. Online discussion group research among selected members of the Wine Opinions trade or consumer panels combines quantitative and qualitative methodologies to provide insights from robust and far-ranging discussion among highly qualified participants as well as quantitative data points illustrating trade or consumer sentiment and behaviors on topics most relevant to our clients’ learning objectives. These projects begin with an “Issues and Screening” survey issued to the entire trade or consumer panel, followed by a three-day online discussion among the most qualified panel members. Discussion groups may include panelists from any number of major markets in the U.S. 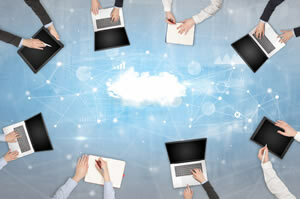 The discussions are monitored and may be interactively accessed by our clients from any location. 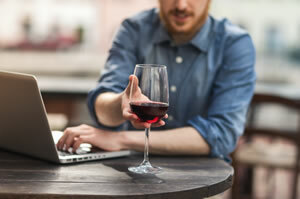 Online wine tasting forums are a unique form of consumer discussion group. They begin with an “Issues and Screening Survey” to provide data and viewpoints from the national Wine Opinions consumer panel. The most qualified respondents (usually those with trial or usage of client and competitor brands) are then sent samples of the wine or wines to be tasted. Forum members complete and submit online evaluation forms from their in-home tastings prior to the commencement of the online discussion. The two-day group discussion begins with tasting evaluations and comparisons among the wines sampled, and related topics such as price and value estimations, purchase intent, usage occasions, packaging evaluations, and other learning objectives. In-person consumer focus groups are conducted in all major markets. Participants may be recruited from the Wine Opinions panel members in that market. Custom screening of participants from the consumer databases of facility providers may also be accomplished. Moderated wine tastings may be included in the focus groups. Wine Opinions performs market research, analysis, and reporting based on client and commercial sources of sales, shipment, and trending data. One-on-one trade interviews are offered, as well as consumer intercept iPad surveys or interviews in winery tasting rooms, wine shops, at wine events, or other venues. Data mining, analysis, and reporting on brand and category wine sales information provided in partnership with Wine.com is also available to Wine Opinions clients.